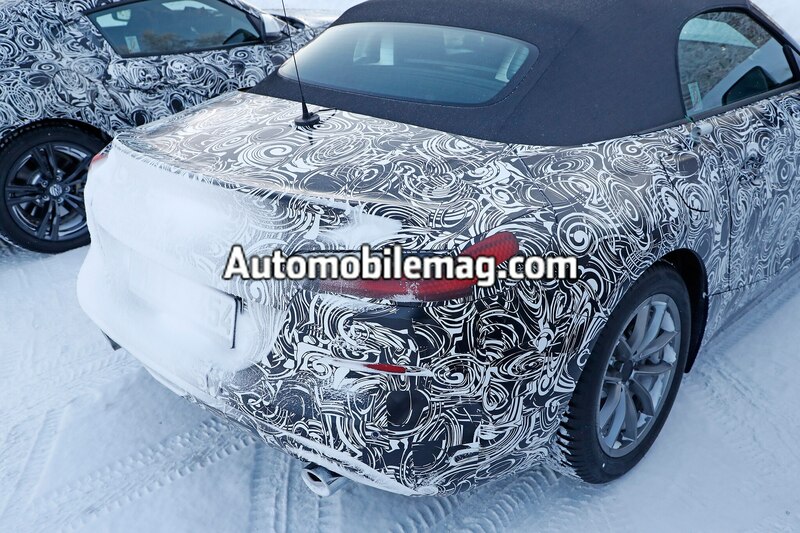 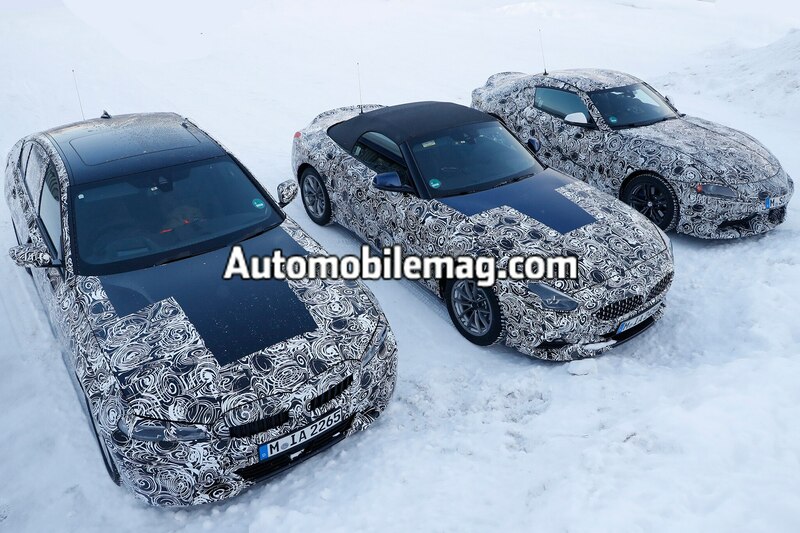 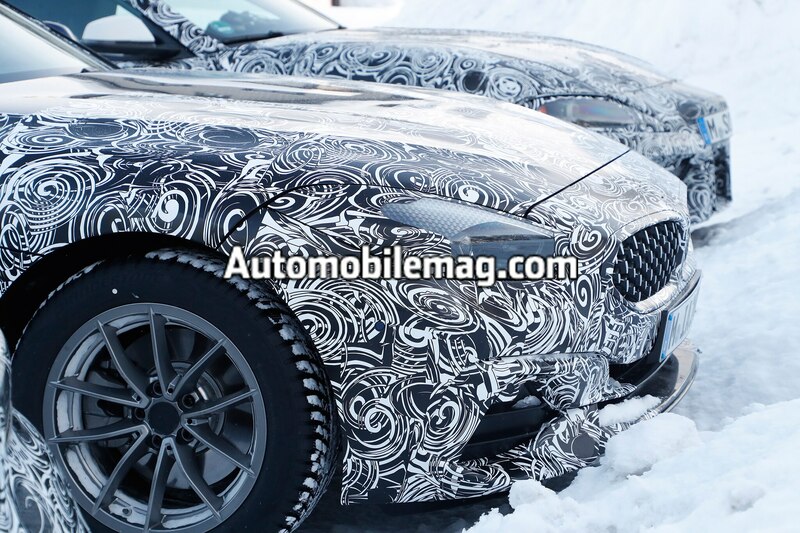 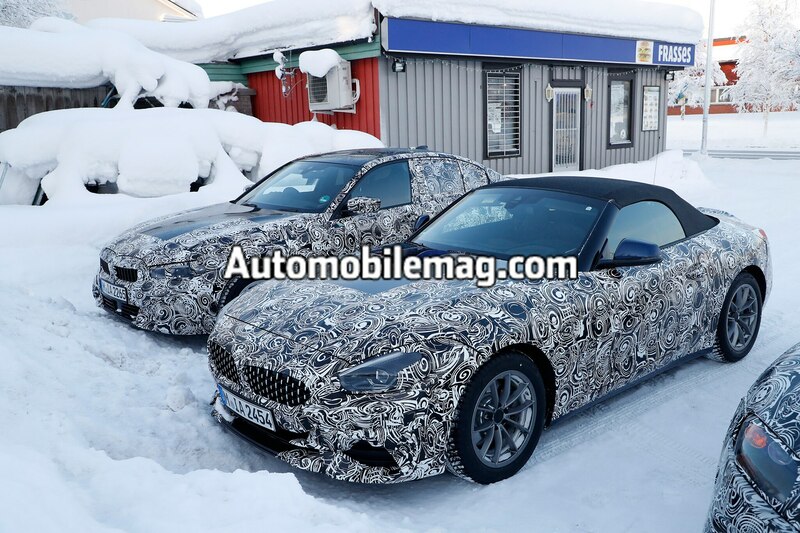 The next-generation BMW Z4 has been caught undergoing cold weather testing, and this time our spy photographer snapped the roadster with the upcoming Toyota Supra and the next-generation BMW 3 Series. 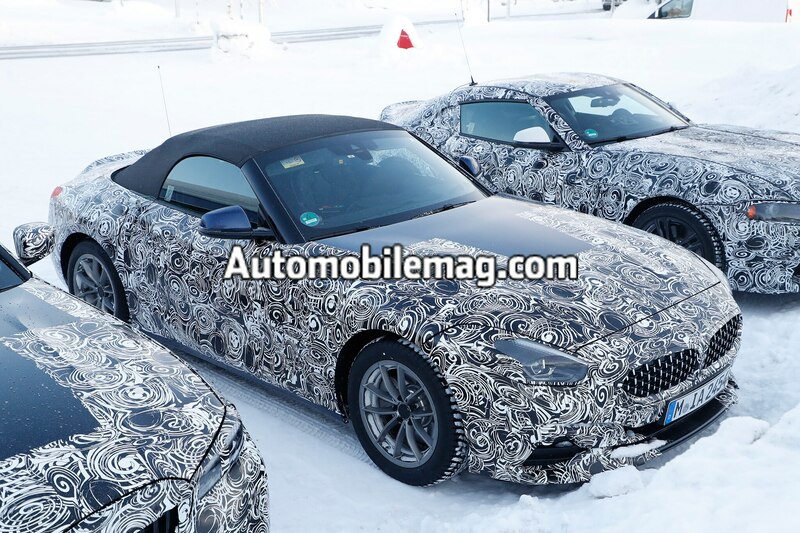 Although there’s still plenty of camouflage covering the Z4, we can see a number of design cues that are clearly taken straight from the Z4 Concept shown at last year’s Pebble Beach Concours d’Elegance. 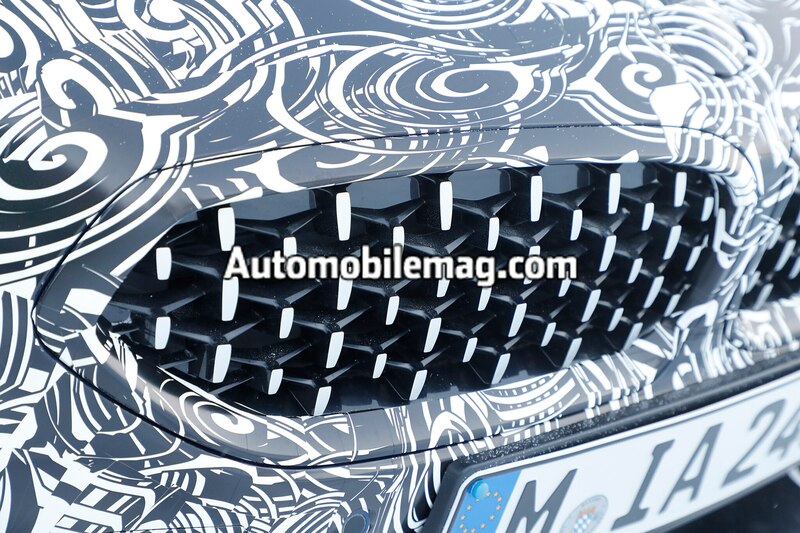 For the first time, we see the Z4’s twin kidney grille completely exposed and it shows a new mesh-like pattern instead of the slats used in current BMW vehicles. 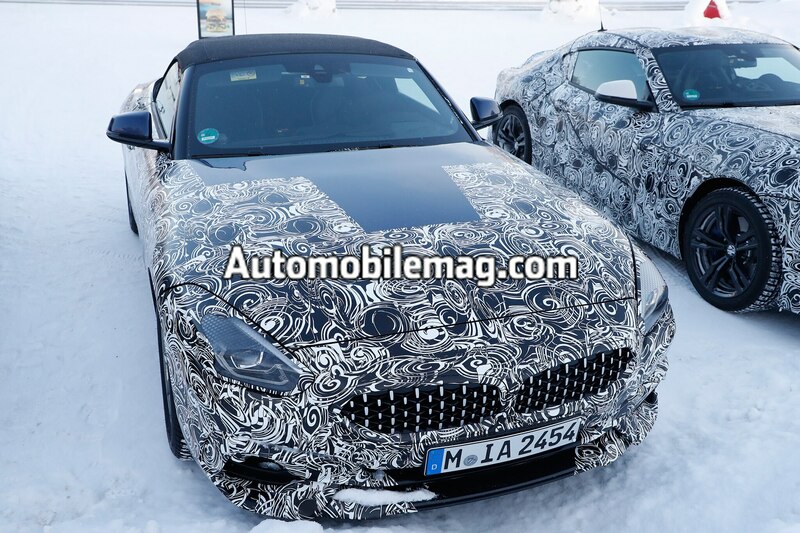 It’s another design cue that comes straight off of the Z4 Concept, though some design details appear to be toned down slightly. 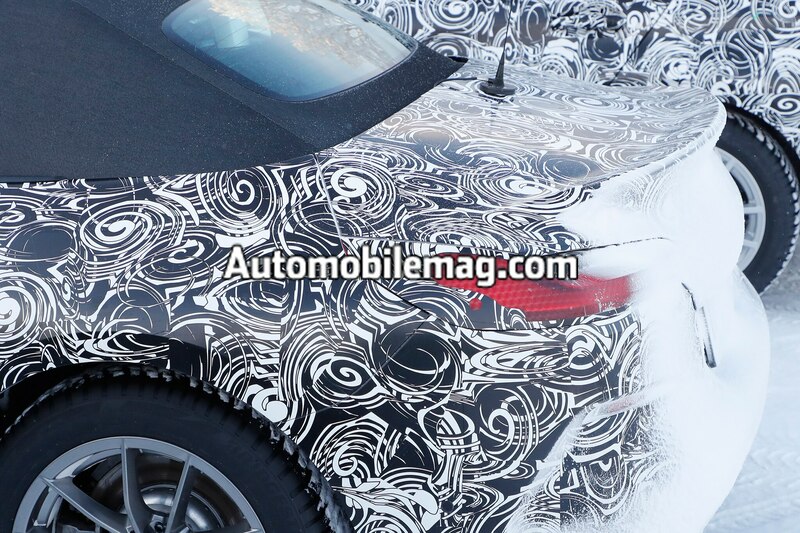 The headlight and taillight designs have also been tweaked slightly but their shape appears similar to the show car. 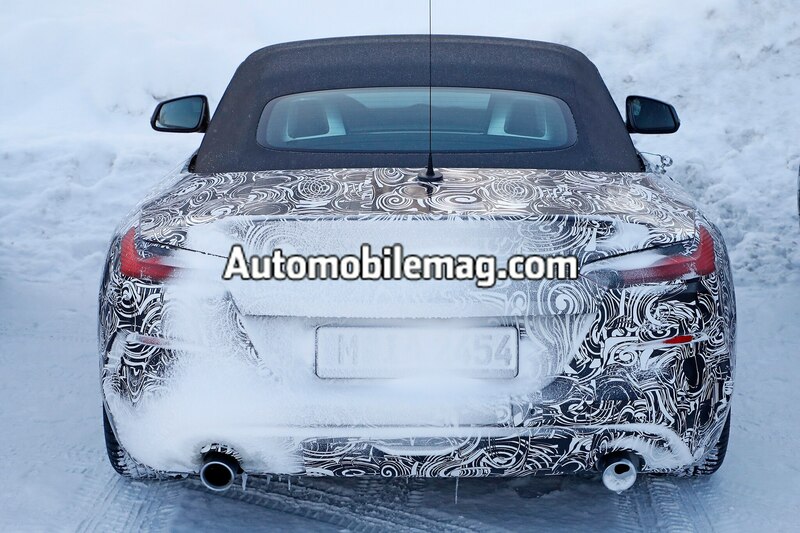 The rear end of this particular prototype features two round exhaust tips, which means this may be the base sDrive30i model with a 2.0-liter turbo-four rated at 248 hp and 258 lb-ft of torque. 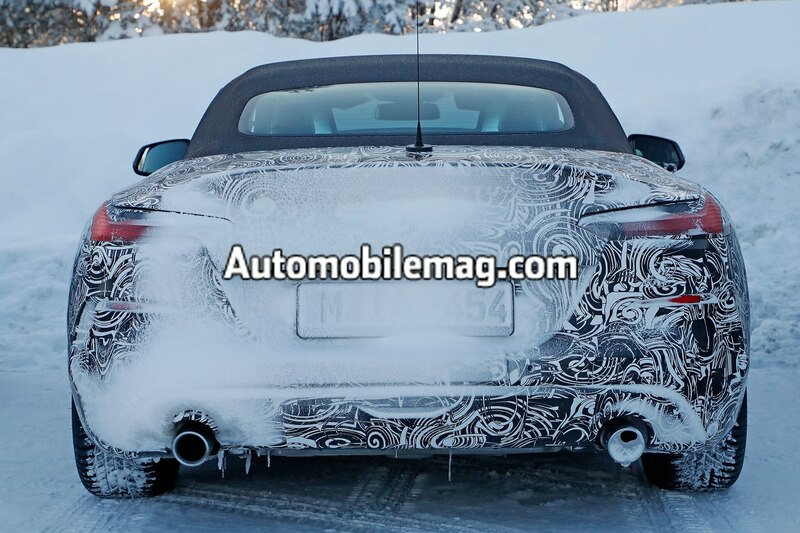 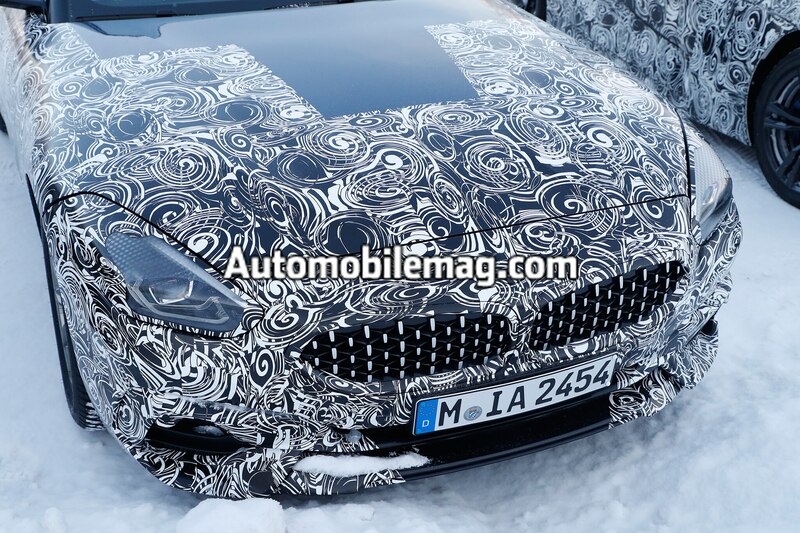 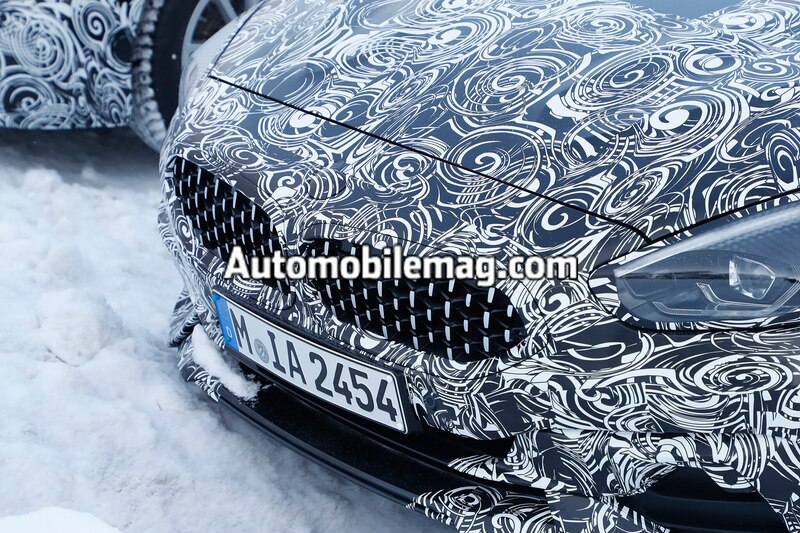 Last year, we spied another Z4 with trapezoidal tailpipes, which could’ve have been the more powerful M40i variant with a 3.0-liter turbo I-6. 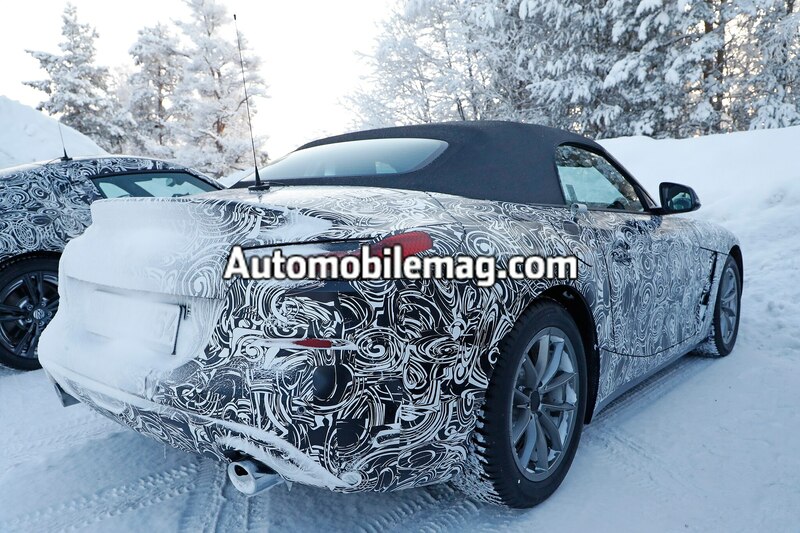 Sharing its platform with the upcoming Toyota Supra, the Z4 is expected to arrive in two flavors when it hits the U.S. market, the base sDrive30i and the more potent M40i. 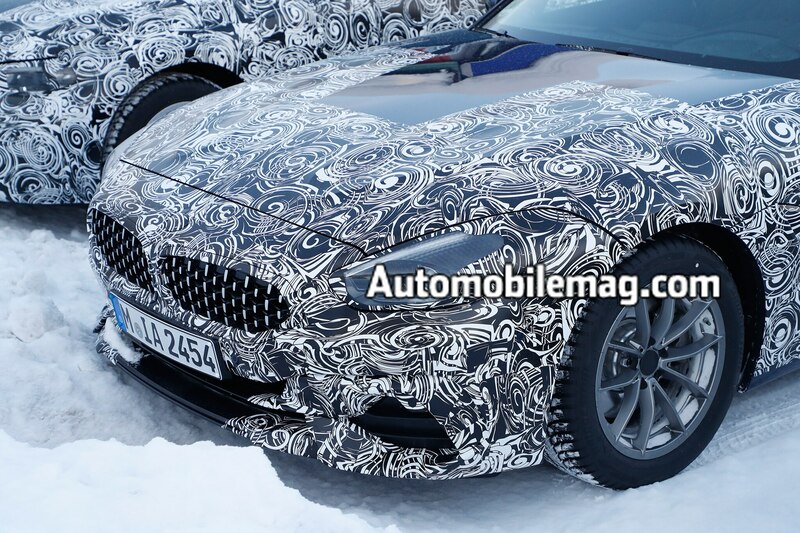 Expect a ZF-sourced eight-speed automatic transmission to come standard. 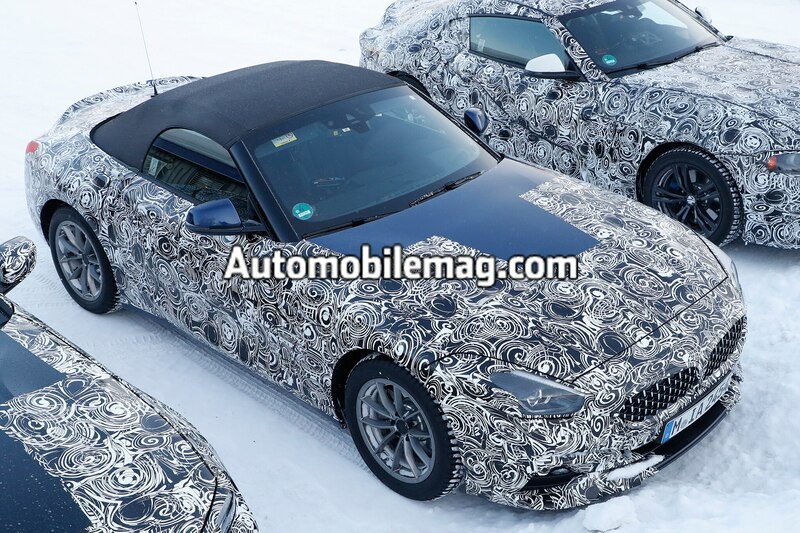 A six-speed manual could also return to the Z4 lineup but if it does, it’s likely going to be offered on the base model.